Blogging has already become one of high speed communicating media for business personal to social wprkers.It is already has entered into the deepest part of politics via social media. Recently it is seen an article of business icon Howard Schultz(Starbucks chairman,president and chief executive officer)who writes about his business via political gains with out mentioning his goal.Starbucks chairman has mixed up business,politics and social media with a cup of tall hot brewed coffee. 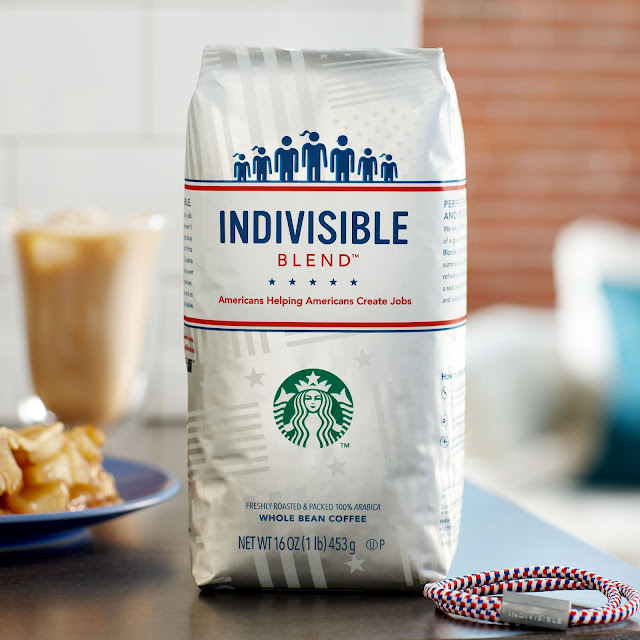 In a move to break gridlock in Washington,he launched a campaign urging CEOs to boycott political donations.Now he is leading 'Indivisible,'an initiative focused on job creation.Starbucks launched the'Indivisible' collection,a coffee blend,branded tumblers and mugs,in its stores in mid-June and makes a donation to the Create Jobs for USA fund every time an'Indivisible'item is purchased. This time the campaign is extending to social media(Facebook, Google+,Twitter,Linkedin etc)in a special 4th of July initiative. Howard Schultz has urged in his company blog that it to share eveyone view of America,and how US citizen can all put citizenship over partisanship.On Instagram,post a photo of the America has been needed to see.On Twitter,provide a link to an innovative idea.Blog about who is making a difference in own community,or on YouTube, share how it was made the American Dream come true.No matter where any one post,if it uses the tag #INDIVISIBLE,Starbucks will do its part to collect and amplify the voices. When I search major search engines then i got that a lots of high profile bloggers has covered the Starbucks''Indivisible in their blog articles.Here a few for example,paidcontent, seattletimes, nwsource,coffeegeek,marketwatch and many more.It mentioned that maximum blogs bear high Page Rank (more than PR7). That is a little vague.Is it enough to get consumers excited?So far,#indivisible is n’t a most trending topic on Twitter,but a search today reveals a large numbers #indivisible tweets an hour.Still,we have a few days to go until July fourth.He has added that sparking the conversation in own stores on that day,local Starbucks will proudly serve everyone a free tall hot brewed coffee on the 4th of July.It is yet to be seen whether the conversation that day will focus on job creation and non partisanship,or whether people will just be wondering why they did n’t get an iced coffee instead.World is waiting for that day.